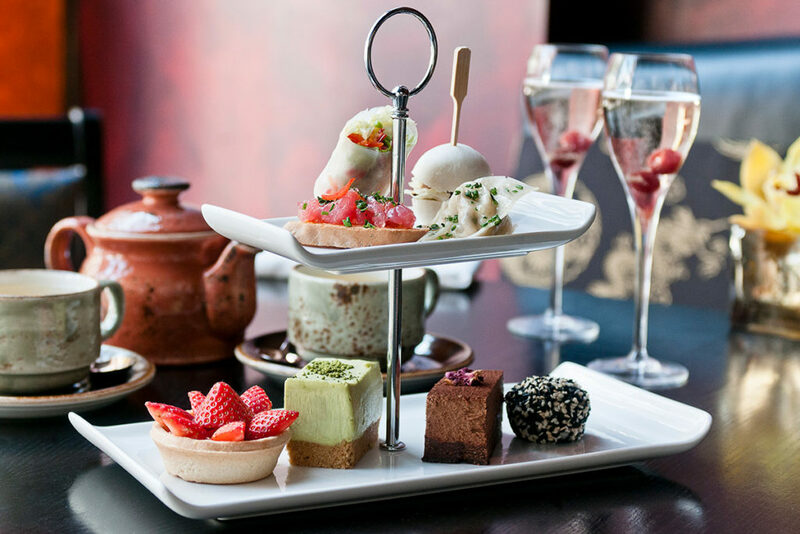 An afternoon tea at Buddha-Bar London is a deliciously unique dining experience. 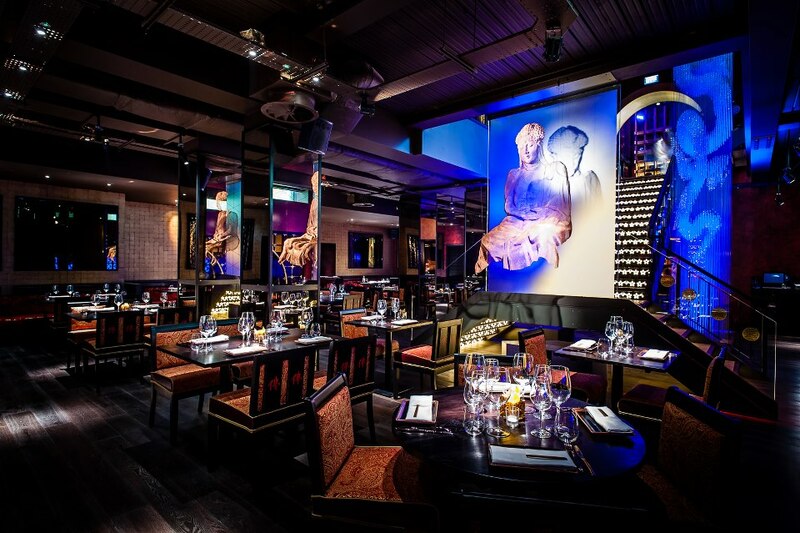 Pushing culinary boundaries, Buddha-Bar blends Far Eastern Cuisine with Western tastes and influences. 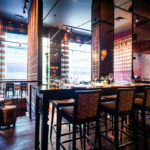 Located in London’s exclusive Knightsbridge, this award winning bar attracts a celebrity clientele and stepping into the midst of this Asian-inspired bar, it’s easy to see why. Set over 2 floors, the contemporary and opulent decor fuses East and West. 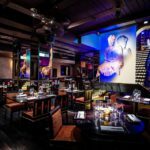 With crystallized dragons and a levitating Buddha made from a single sheet of bronze mesh, Buddha Bar London is a truly elegant place to unwind. This quirky but exceedingly flavoursome Pan Asian afternoon tea meticulously entwines the very best of Chinese, Japanese, Thai and Eastern cuisine. Your afternoon tea experience begins with a glass of sparkling Champagne. Served on a two-tiered platter, feast on a sensational, savoury selection which includes Duck Hoisin Steamed Bun Sandwiches, Crispy Wonton Cod and Prawns, and Vietnamese Vegetable Summer Rolls. This is followed with delicate sweet treats such as flavoured macaroons, Passion Fruit and Mango Tart, and Green Tea Cheesecake. Your afternoon tea is accompanied with your choice of Asian tea. Soak up the atmosphere, get into the zone and enjoy the magnificence of this Zen inspired setting. This is the perfect location to escape London’s bustling streets and enjoy a little relaxation. We have a fantastic deal for a Champagne Afternoon Tea for Two with Virgin Experience. Discounted at £53 for TWO, was previously £64, this surely is the venue to see and be seen in. Virgin operates a voucher system. Simply buy your voucher and get your diary out to arrange a catch-up with your friends. Or, why not treat someone who deserves a fantastic day out. This would make the perfect gift. Vouchers are valid for 6 months. For further information or to buy, simply select the Book Now button. Have a fabulous time. 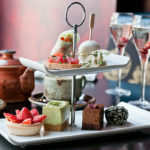 GIRLS AFTERNOON TEA: Enjoy a stunning afternoon tea at Buddha-Bar London with friends or family.